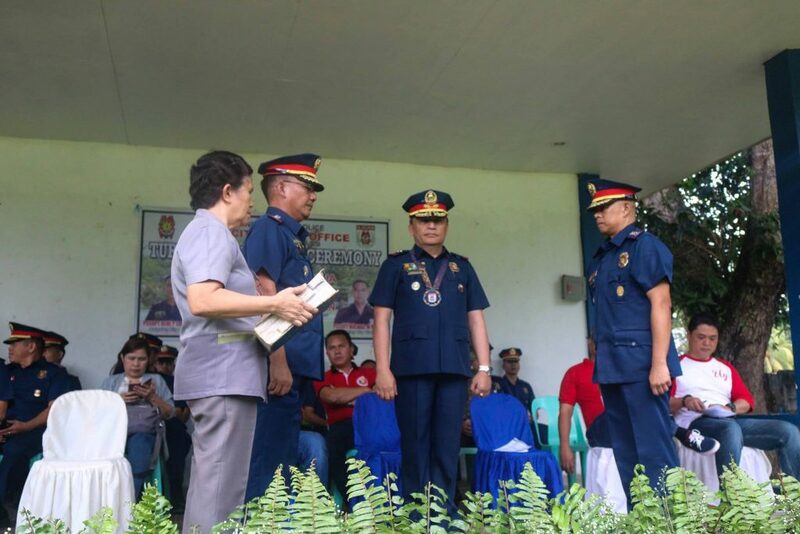 Last February 8, Iligan City Police Office conducted the turnover of office ceremony with Mayor Celso Regencia as Guest of Honor and Speaker and PCSUPT Jerry Linsagan, Deputy Regional Director for Administration, as the Presiding Officer. It was held at the Parade Ground, Camp Tomas L. Cabili, Iligan City. 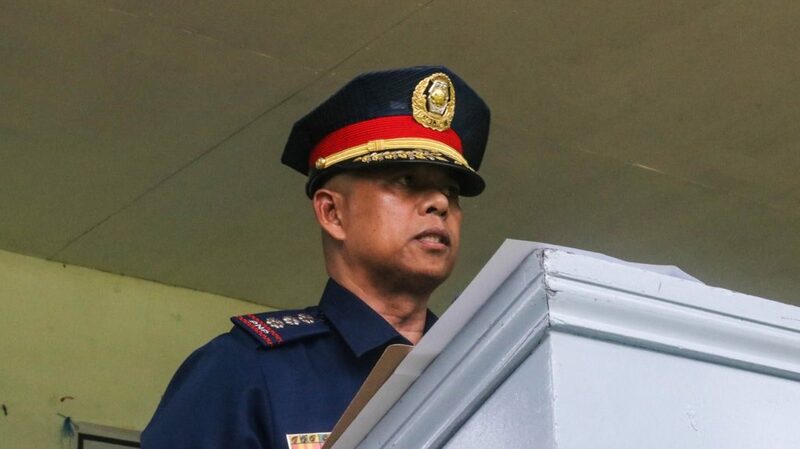 According to PSUPT Warlito Serna, PSSUPT Rene Solidarios, the outgoing city director, is a soft-spoken commander who had a penchant for team building within his office. PSUPT also added that the outgoing city director does not settle for mediocrity with the assigned task. “During the time that you held the reign of this office, it is obvious that you did a good job,” he said. He also added that PSSUPT Solidarios motivated the personnel of Iligan City Police Office to better their work and to bring out the best of their capabilities. “You will always be remembered for your kindness and for inspiring us to work towards the common goal,” he said. According to him, his stay here in Iligan City was a happy one because of the strong support of the people and the Local Government of Iligan City. “During my stay here for 3 months and 9 days in Iligan City Police Office, magpasalamat ko ug dako sa akong naabtan na Mayor Celso Regencia nga akong gitaw-an na upper class. Ikaduha sa iyang Vice Mayor Jemar Vera Cruz (During my stay here for 3 months and 9 days in Iligan City Police Office, I would like to thank Mayor Celso Regencia, whom I looked up as my upper class and secondly, to Vice Mayor Jemar Vera Cruz),” he said. For PSSUPT Rene Solidarios it was time for him to go. He recalled that he was only bound to act as the officer in charge until such time that local officials could select who is fit to lead as the new city director. According to him, he received an order on October 31 of last year to report to Iligan City. “Caretaker lang taka ako sa posisyon na ito. It is time for me to relinquish my position as the officer in charge (I am only the caretaker of this position. It’s time for me to relinquish my position as the officer in charge),” he said. PSSUPT Michael M. Pareja, incoming City Director, was in awe of Iligan City Police Office achievements. “As we look back here in Region X, it is Iligan City that was first to produce CCTV Cameras. Many cases have been solved because of the equipment,” he said. He was also impressed of the fact that Iligan City Police Office as the best police office in Region X. He also praised the Local Government Unit of Iligan City for being supportive in their campaigns and needs. “Aside from the support coming from the national and regional office, overflowing ang support sa LGU (Aside from the support coming from the national and regional office, LGU also has an overflowing support to us),” he added. PSSUPT Pareha promised to continue to make Iligan City a safe place to live in. “You will be safe here in Iligan City because the Iligan City Police Office is doing their best to make sure that Iligan City is not only the best place to live, but also to and to do business as a whole,” he said. He also pointed out that he came here to serve Iliganons solely. “I did not came here to serve one person. I did not came here to serve one family. Nor I came here to serve one political party. I’m here because of the mandate of every police officer- that is to serve and protect,” he said. Mayor Celso Regencia assured the police enforcement that the Local Government Unit of Iligan City is here to support them of their needs in the office. “Ayaw kabalaka sa suporta. Kay bisan tuod ug kanang niang suporta sa inyo ginagmay lang, pero ato ng himuon lang gyud nga kamo dili na magyango-ngo ug lisod (Don’t worry about the support because even though it is not much, we assure you that you never have to beg for anything that you will need),” he said. He also assured the Iligan City Police Office that they would support them through increase funding for the gasoline of patrol cars. “Karong 2019, with the support of Sangguniang Panlungsod, led by Vice Mayor Jemar Vera Cruz, ang budget sa inyong gasoline sa kapulisan sa dakbayan sa Iligan, niabot na ug 6 million pesos (This 2019, with the support of Sangguniang Panlungsod, led by Vice Mayor Jemar Vera Cruz, the budget for the gasoline of the police forces in Iligan City will be 6 million pesos),” he said. He also reminded every police to do their best and make Iligan City a safe place for every Iliganon and those who wish to make this city their home. This entry was posted	on Tuesday, February 12th, 2019 at 4:33 pm	and is filed under Flash News. Both comments and pings are currently closed.